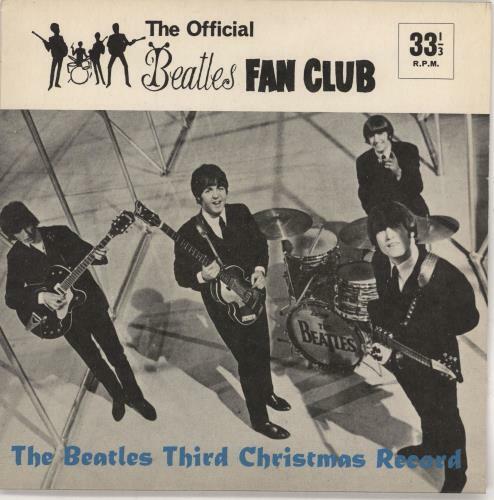 THE BEATLES The Beatles Third Christmas Record (Very Rare 1965 UK single sided 7" flexi disc, issued exclusively to fan club members, great flipback card picture sleeve. The sleeve shows very little evidence of storage remaining near mint, beautifully kept from new with care by its original owner, flipbacks perfectly intact, undamaged edges, text and colours bold and bright! 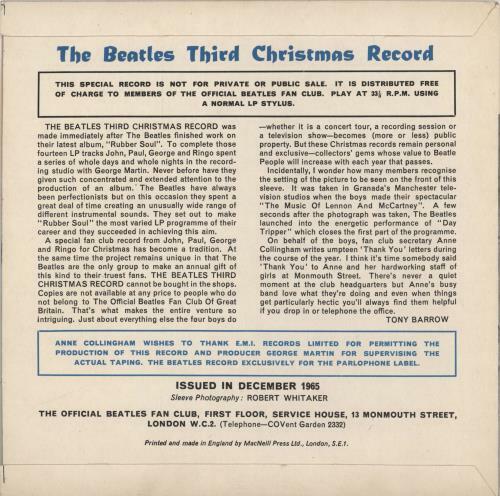 The disc within remains barely if at all played showing only a little mottling typical for the format and commensurate with its age, overall excellent with clean labels, clear, crisp labels - a wonderful condition copy of this now 53 yearold 60s gem! LYN948).